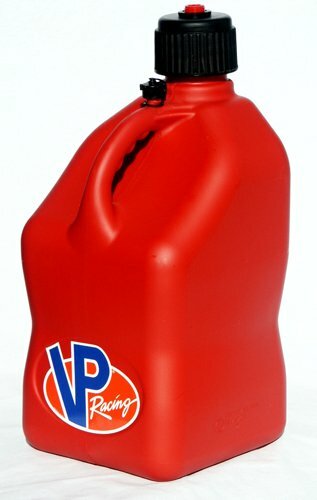 My local army surplus store only has jugs by Reliance, does anybody have experience with this company? These will not be banging around in a truck bed, but I do worry about seam integrity. I'm considering keeping some extras filled for water storage too, so a tight seal to prevent evaporation would be nice. I use an Igloo 7 gallon water jug like this one. Unfortunately I haven't been able to locate a replacement for it. I've been toting this one around for 10 years or more. I have a nice set of jugs. These are Scepter 20 liter jugs, but they also come in a 10 liter version. I have the 20's in tan. Oh, to add... I also have that Reliant 7 gal blue cube. It's good for camping because of the spigot, whereas the Scepter's are better for transport due to easy carry and much heavier duty construction. I'm liking them, but I'd have to save up a bit to buy them. I have a pair of the same jugs that TexasGirl has. They are great except I have found that they can't be stacked or stored sideways. The seam is not strong enough for that. They will leak. My current favorite is the high flow haz-mat storage jug (mark yours as WATER ONLY). 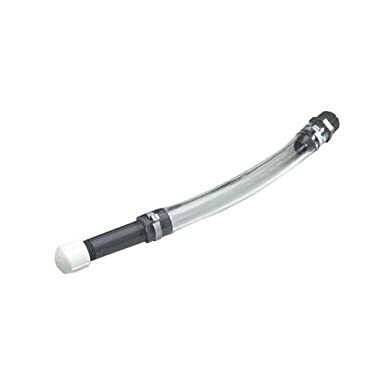 Make sure to get the filler tube with it. I hadn't thought of those actually. I guess I was stuck thinking that they offered small sizes and large quantities. 7+ gallon jugs / 20 liter + jugs don't seem as manageable as 3 gallon in terms of weight etc. I mean DDDs are fun to look at, but not so practical when it comes to carrying them around all day — right? My personal preference for water is using empty 2 liter pop bottles because they never break, they are easy to manage, and I carry them 4 at a time inside of the square cat litter buckets with a carrying handle. The bucket also serves as a wash-bin, and I carry scrubbers, dish soap etc with the water bottles). Takes up the same space but gives you more options as a dedicated "water jug" — and 2 liter bottles are easy to find and wash out. I've got close to 50 gallons of stored water in 2 liter bottles in my basement on any given day. Ummm... I don't see where the hazmat jugs are safe for potable water. The plastics might not be food grade, or they may not have used a food grade mold release agent. I'm not big on lead tainted water. Yeah, I was thinking of using milk crates, but a carrier that doubles as a wash tub might be nice. Ummm... I don't see where the hazmat jugs are safe for potable water. Yeah, I didn't see that either. Not a huge problem in an emergency, but not something I'd prefer if I know I'll be using them several times a year. I've got one of the 7 gallon Reliance cubes. My only problem with it has been that the fifth wheel plate in my truck bed popped a hole in it. It's heavy - almost 60# when it's full, but I like the way the cap works. The spigot is threaded into the cap, so you can reverse it and store the spigot inside the cube so can't be snapped off in transit. Then you just unscrew it, reverse the cap and screw it back in for use. I would not recommend them. For storage they are ok but the spigot does leak a bit. I bought them because K-Mart cleared them out for $2 each and I figured it was worth the risk. 7 Gallons is a bit heavy. I just keep them filled in my basement as an extra store of water. I remember reading posts by reviewers on Amazon who said that trimming off the flashing on the threads and spigots can stop the leaks, have you tried doing some trimming with a razor blade? I'd be curious if it helps. I bought mine last year and haven't noticed a leakage problem. However, I do turn the cube so the spigot is up when I'm not using it. YMMV. The plastic buckets I carry them in just happen to be sized so 4 2 liter bottles sit EXACTLY in place, with no play, or space for anything other than what you can slip in the middle (bottle brush / scrub brush) and in the area near the top of the bucket. It was one of those lucky finds I suppose. The reason I use 2 liter bottles was because I used to have a water cooler for the 5-gallon jugs. I used to HATE carrying those jugs around — especially since I would return and exchange them 10 at a time. I hated just carrying one up from the basement to load onto the cooler — and could not imagine carrying them around on camp trips. I was going to get a spigot system for them to bring camping (along with re-usable caps etc) — and just got rid of the whole setup, cooler and all once I started filling 2 liter bottles with my Berkey filter. Just a thought — have you tried using thread tape on them to keep the threads from leaking? Probably more of a pain than it is worth, but there might me some sort of solution there. I haven't had an issue with the cap leaking. Just when I have had the spigot on in the "pour" position and not the storage position. I haven't taken the time to check for burrs, now I will, since it hasn't been much of an issue as I have been using them for bulk storage and when I do use the water it's to water plants and such so I can rotate and I don't use the spigot. One of these days I am going to look at a fix. I also use 2 liter bottles for convenience and the price. how are there not more jokes in response to this thread? You guys are way too mature for me. <-- carries a Glock because a 50 BMG prints too much. i tried, but no one bit, figured i'd let the sleeping dog lie. Just so I am not accused of not contributing my share. Under more normal circumstances, I would milk it for all it's worth. But since I don't want to call down the wrath of the women on the board, I felt it was udderly ridiculous of me to joke about it. The people in this community are the breast. They are very considerate about other peoples feelings on the forum. How low have we sunk. I think in this community we knead to get a feel for what is appropriate. Some of us just want to keep a breast of the relevant news, some of us want to find the pert-inent information for finding water containers, and others want to explore the bounds of proper humor. Trying to fit that into one cup, or even two, is hard. Maybe that is why are Mods have so many sub forums. That way we each can nestle into a comfortable cushion with our fellows. It's kind of like walking into your favorite bra, you know who and what belongs in there and what is out of place. Anyway, I guess my point(s) a-mounds to this: Knowing boundaries is important. i should post some pictures as i have several large sets of melons in my garden right now. in fact they were so large that they started spilling out and now they're all over the place.